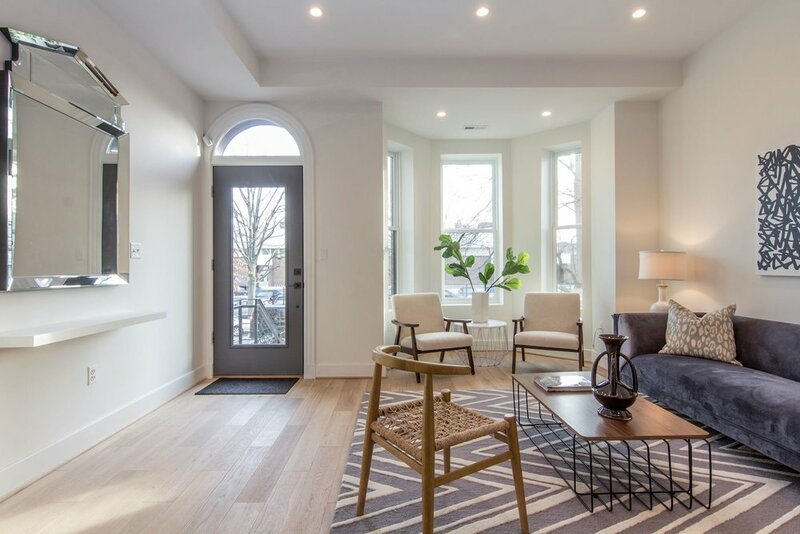 Situated one block from the center of thriving Columbia Heights, Kenyon Street is a spacious 4-level historic townhouse that has been completely reimagined through a partnership with DB Lee Construction and Development. 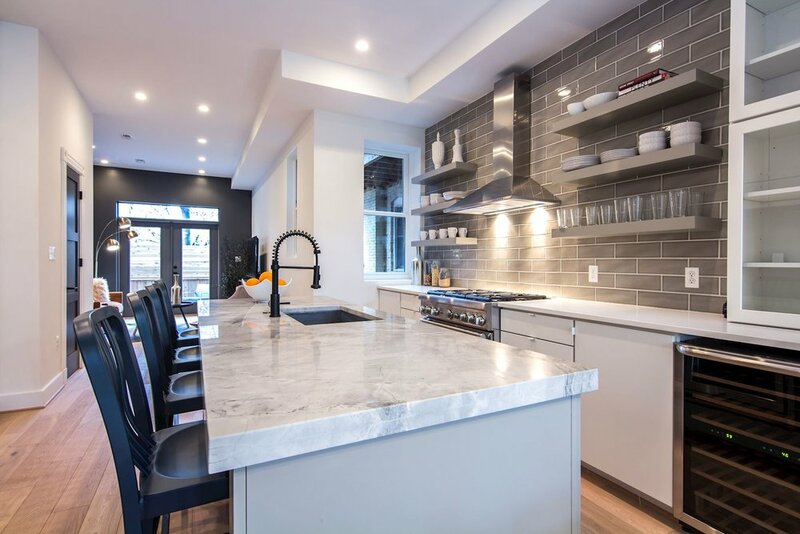 Featuring a dramatic main level open floorplan, the 6 bedroom 5.5 bath home has been artfully designed with a 'vintage modern' aesthetic, combining elements of the original structure with clean modern finishes. The home also enjoys remarkable outdoor living space, including a rooftop deck with monument views and a front and rear yard designed for high occupancy entertaining. 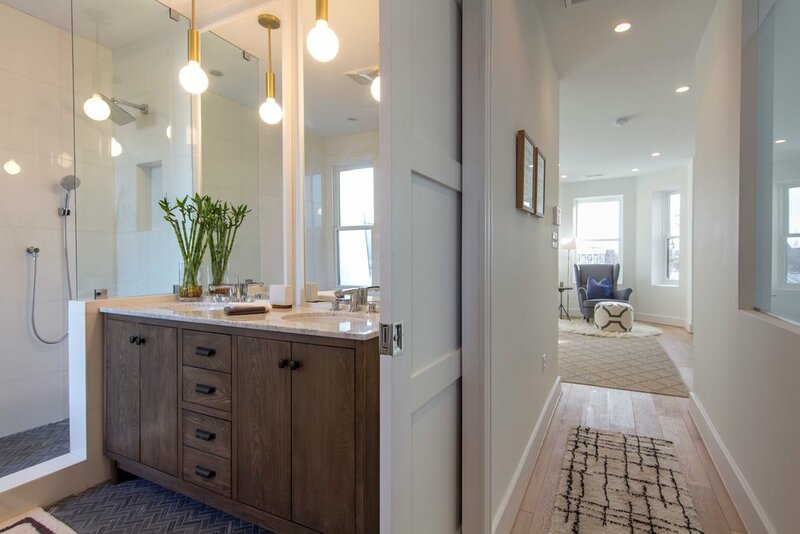 "Kenyon's renovation combines the old and the new with dramatic design features - including intricate tiling and elegant period accents"